Read 2 times. Last read December 9, 2011. All I can say is, Stephen King still has the stuff of legend. This book took me back in time, to my childhood. I remember these events, I remember it all. And he took me back there and I relived it all. The story is tight, the plot is amazing good. Not a word is wasted. I couldn't turn the darn thing off at the end of the day, I was so engrossed in the story line. Every character is as vividly drawn as a person standing in front of me. King's characters always live and breathe within the pages. I feel like I know them all on the most intimate terms. Craig Wasson is the perfect reader. A fantastic actor, he gave every character his or her own voice. I stopped seeing his face and saw different faces for each character. His vocal reproductions of Kennedy, Cronkite, and others was so spot on, I felt like they were actually talking. I will own the ebook, but I won't take anything for my audio book. And this is a definite keeper. Once again, Stephen proves he's the King of the Literary Hill. 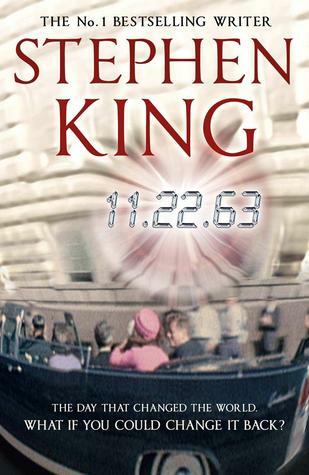 Sign into Goodreads to see if any of your friends have read 11.22.63.